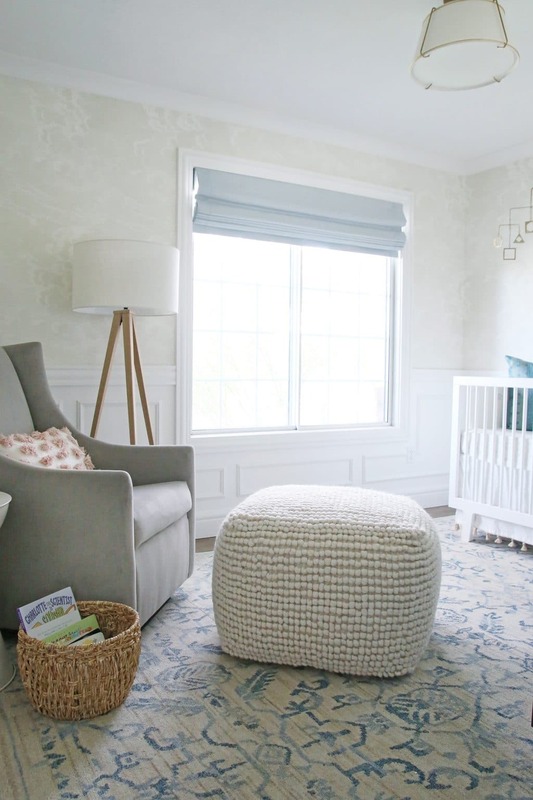 When we were putting together the nursery for the One Room Challenge, I was struggling in one big way. 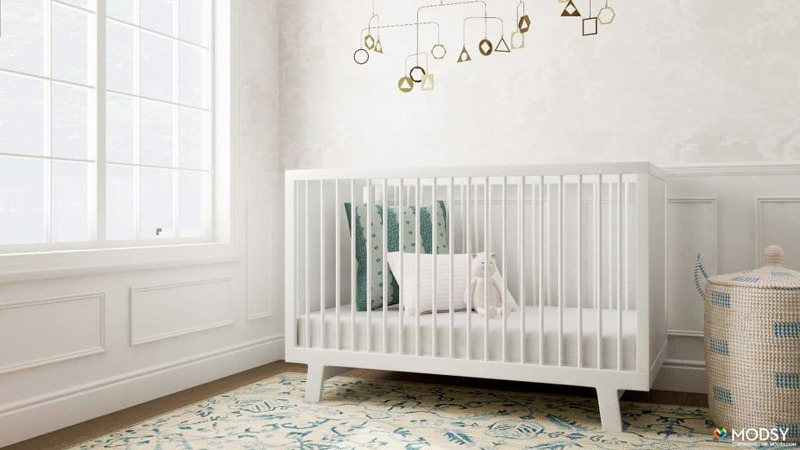 I’m the kind of person that doesn’t want to buy a rug and chair and crib and dresser and decide on paint colors and lighting fixtures–basically, make all the decisions for a room in one afternoon. I prefer to do one thing at a time, over time, allowing rooms to evolve. However, with a 6 week deadline for the challenge, that luxury just wasn’t possible. We were working with Modsy on a few ads for our podcast, and a light bulb went off–THIS IS THE BEST IDEA EVER! Let’s use this! 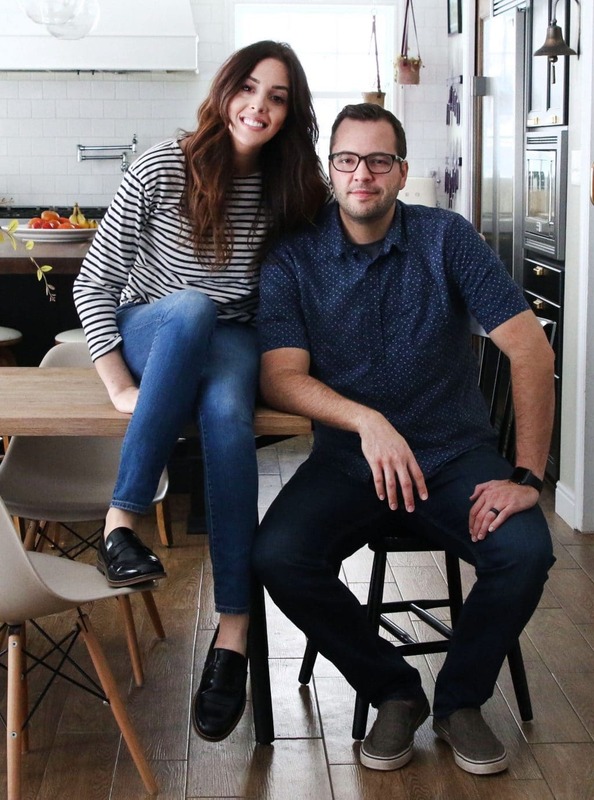 If you haven’t heard of Modsy (I was just recently introduced to them myself from this article in People Magazine), they are a service that allows you to “try on” furniture in your room and visualize it before you buy anything. This quote from the article really hit home, “Sure I can make a 2D mood board and fill it with complimentary pieces. But will the side table be too high for the sofa? Will a piece of art look lonely on that giant wall? Will I be falling out of bed trying to put my phone on a pint-size night stand?” Modsy is better than a mood board and it’s not a flat, floor-planner or Ikea kitchen planner type of mock-up. The renderings are so life-like and real–you might have a hard time discerning which is a photograph and which is their mock-up. The 3D rendering we made using Modsy is on the right and the final image of the room is on the left! Pretty crazy, right? 1. Upload a few photos of your room (don’t worry about clutter–they’ll clean everything up in the renderings ;). 2. They’ll create a 3D model of your room to scale and design two custom layouts based on your project details and style preferences. 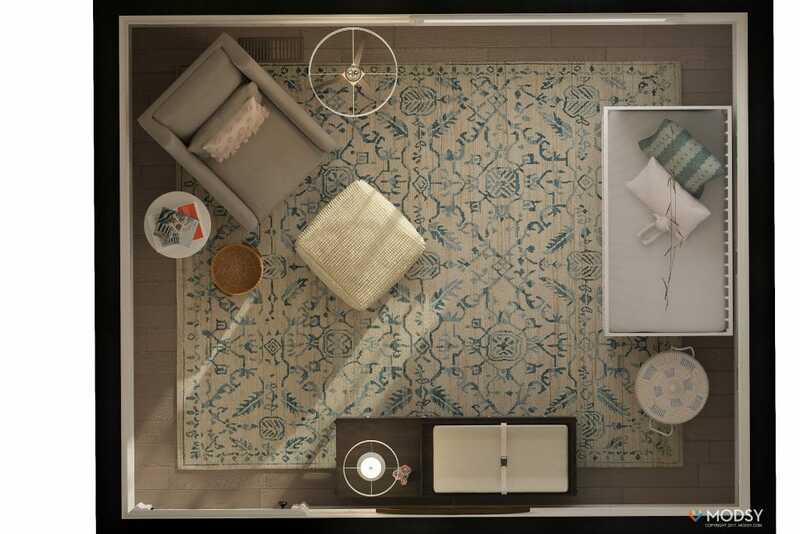 Your designs literally look like professional photographs of your room – it’s crazy. 3. You can then make revisions directly with their Style Editor tool and render your new designs yourself. So if you aren’t happy with the scale of the lamp or the color of the rug or anything else–you can easily switch it out, which is one THOUSAND times easier than making a return. And infinitely faster, too. They have products from hundreds of retailers–we had no problem finding almost exactly what we were eyeing for our room. They also have a bunch of advisors to help with this step if you need a hand. Ready to see it in action? 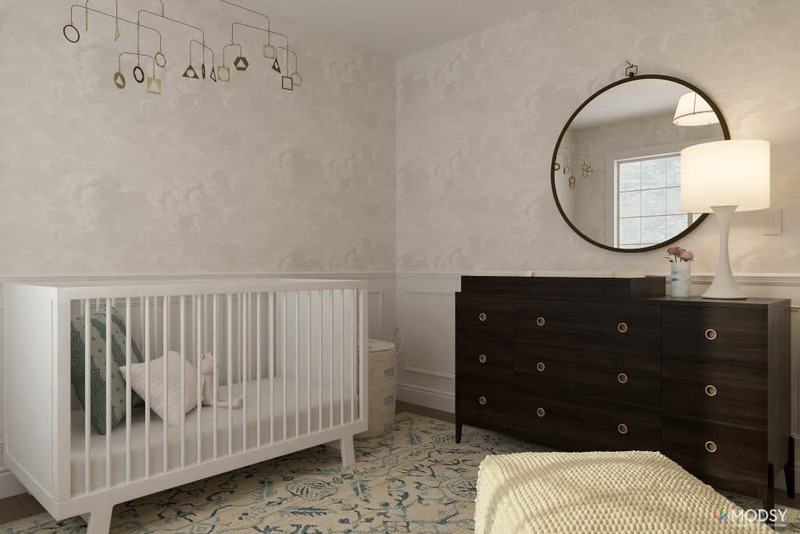 These are the actual renderings we received from Modsy when Chris and I were designing the nursery. It’s such a helpful service that I think is really going to change the interior design industry and also the way people shop for furnishings. It takes all the guess work out of it! And takes you 10 steps further than creating a mood board–we’re hooked. Ready to give it a try? Modsy is just $69 per room for a 3D model of your space, 360 degree room visualization, 2 custom designs based on your style and goals, unlimited design revisions, and all the direct links to the merchandise. You can use code CLJ20 for 20% off your first room! Excited to hear how this helps so many of you in designing your own homes. 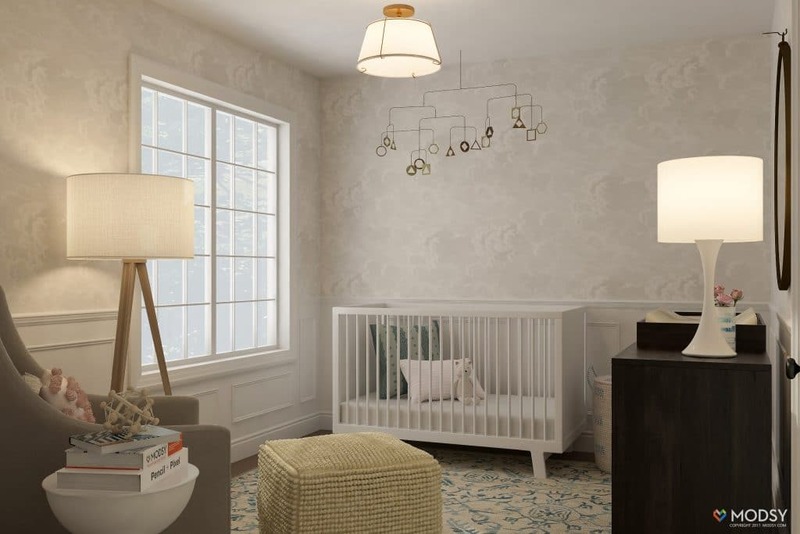 To see more of the nursery, check out the final reveal here. And a budget version here. Along these lines, Roomdesigner.com is worth checking out. You make the whole design, using the furniture they have on file, and you get a very good rendering for free. Amazing! I’ll definitely take advantage of this for my bedroom reno – that $69 would pretty much be less than my shipping cost if I end up having to return even one thing that doesn’t fit in my space (being in Canada, very few sites offer free returns), plus I hate having to return-ship even when the cost is covered – big bulky furniture boxes don’t fit in my tiny little car! I am a designer and I flipped when I saw thisI I went right away and bought this for a project I am currently working on. What they don’t say and what I didn’t understand from this post is that you have to pay $10 for each piece that does not come from one of their partner retailers. 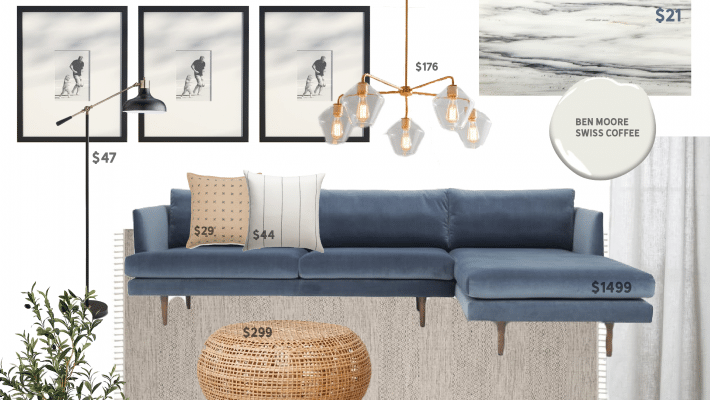 So I wanted to add all the pieces I had chosen – I mean, the $69 is a steal for these great renderings to send to a client – but it adds up if you have a bunch of items not associated with Modsy. I’m actually not sure how many of my items are or are not. I’m bracing for the total cost. Still interested to see the renderings. Wow, that is amazing! To be able to see how it will look and if everything will fit in proportion to the space of the room is great… a small price to pay comparative to the return cost, time, etc… Thank you for sharing! So the versions you posted above, there was absolutely nothing in the room furniture or decor-wise? Like the mobile and rugs and everything? And then you just provided them with pictures of the furnishings you were thinking of adding, or they had similar ones in stock files? 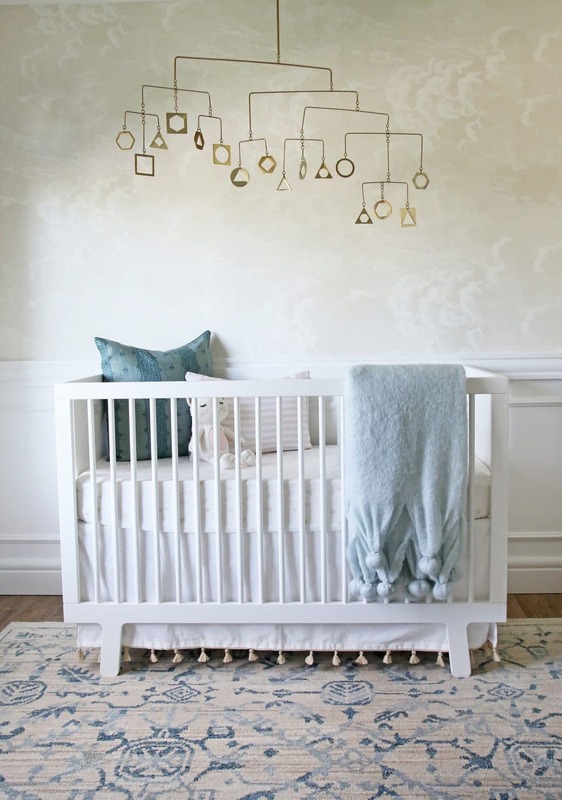 They did all this before you had purchased or had final shots of the nursery? It’s just crazy how much they look like each other even in placement! We didn’t even have the wallpaper up yet! You can search their inventory, or provide links, for everything you’d like to install or buy and plug it in, and move it around until you like the placement. We tried the dresser on the glider wall, crib on the dresser wall. But ended up with this arrangement before ordering everything, which is why it looks so much like the rendering. You can do all the problem solving before even buying anything. That is amazing! I’d love to see the original photos you uploaded and the custom designs they offered. Being a non-designer I would probably rely heavily on that feature. I uploaded the blank slate, before pictures of our nursery. The wallpaper wasn’t even up yet! The only piece of furniture in there was the glider, which we had. This is so crazy! I do some side work for another online interior design service company and their prices are much higher for less than this seems to offer. So curious how they make any money! Definitely a great service to take advantage of! Those renderings are insane. I’m with Sarah, it’s 2017, how has something like this not been a thing? I’ll have to keep this in mind for the future. I agree with you that a service like this has the potential to shake up the design industry. I think it’s worth it for the bird’s eye view alone! Cool renderings; it looks so realistic! Does Modsy allow you to use furniture you already own? I have a few pieces from Craigslist, but have no idea where they are from. 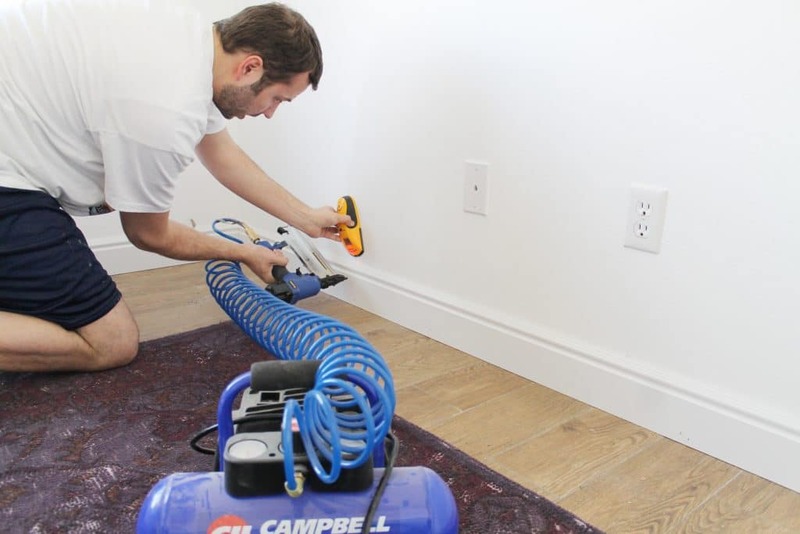 Also, does it allow you to test out different wall treatments (wallpaper, paint, etc)? Yup! They’ll help you find similar pieces in the same size and you can absolutely swap out wall and flooring colors, too. As someone who recently bought a daybed online, and who is now trying to re-sell it because it just feels too bulky in the room, the $69 would’ve certainly saved me twice the money I’m losing on this daybed mistake! This is so cool, especially the bird’s eye view! Wow, this is amazing! I heard the ads on your podcast but didn’t give it much thought, but seeing it on this post really makes the difference. Such a cool tool! YES. We recently did a renovation and I was SO annoyed that I couldn’t find anything like this. I mean, seriously… it’s 2017. Why am I holding a picture of a couch up to my room and squinting with one eye to see if it looks good? Will definitely be checking this service out in the future. Those renderings are crazy good!